Of all the sessions, keynotes, BoFs, and social events that I attended during the week, the most notable and inspiring was Joe Shindelar’s keynote “Everyone Has Something to Share.” It was a very fun, motivating, and inspirational talk that led the crowd through Joe's personal experience of sharing and how he’s learned a lot about himself and the community. I highly recommend watching the captivating video of the talk. Another session that I highly enjoyed was “Motion Design - Improving UX with animations” by Sarah Geissberger and Lisa Thesen. Watching the DrupalCon Vienna logo morph into past DrupalCon logos while learning about 3 of the 10 principles of motion design felt incredibly good. It was a highly informative talk with lots of fun animations teaching the crowd that motion design should enhance the user's experience and add meaning to a design. Sarah and Lisa reminded us that it’s a powerful design tool that every designer should pay attention to. Saša Nikolič and Tadej Baša gave their immense talk “Everybody cheer! Here comes Media!” to a completely full room. 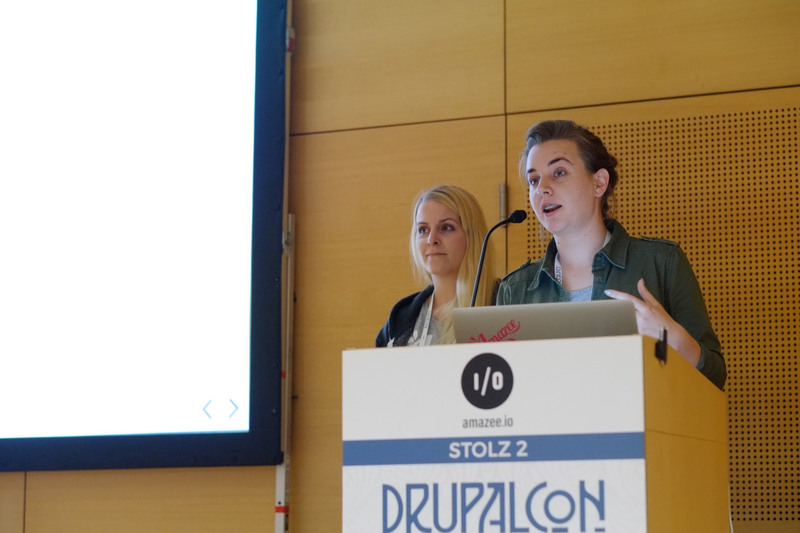 They took the crowd through the history of media in core, through the pain points every developer and site builder went through with the numerous media modules that required configuration and setup, to what we have now in Drupal 8. Aside from the sessions, I also highly enjoyed the Drupal Cinema Zapping, a 15-20 minute video showcasing the creative side to the Drupal community in a collage of extremely entertaining video clips, Oida! 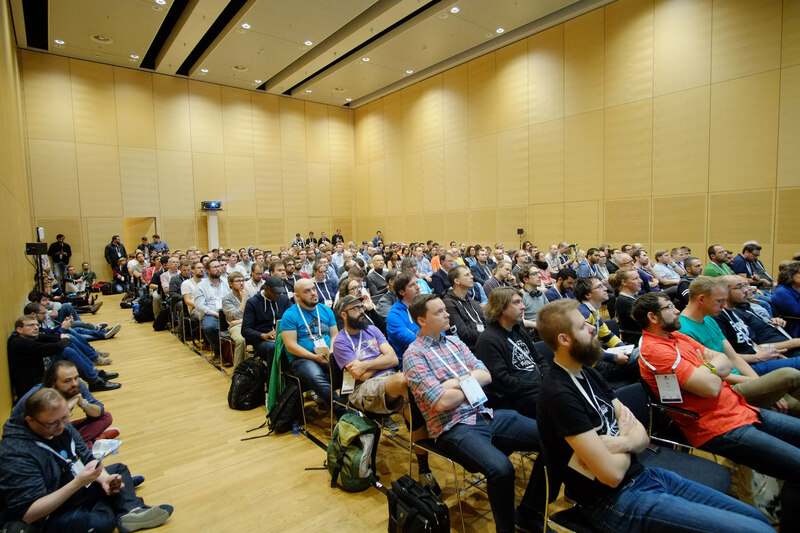 As we’ve all heard, unfortunately, the Drupal Association won’t be hosting DrupalCon Europe 2018, however over the course of the past week, in different sessions and BoFs, the community came together and decided to create Drupal Europe 2018. There will be a post-DrupalCon Virtual Meeting on Thursday October 12, at 16:00 CEST - be sure to join the webinar. For more photos, check out the DrupalCon Vienna Flickr album pool or the Amazee Labs DrupalCon Vienna Flickr collection. 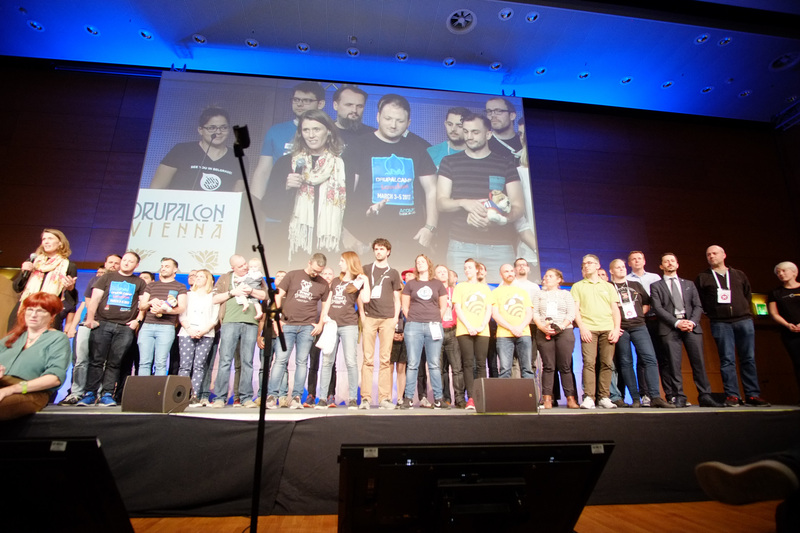 I look forward to meeting you at a future event in Europe, perhaps in Belgrade for Drupal Iron Camp. So this way you can be using the apex legends cheats online and it can generate the coins here for all. You can get the instagram password hack online that you can use to generate the password for instagram account and it can be useful to get the account information of anyone.